AllegroMedical.com presents The Comfort Audio Duett New Personal Listener 28" Neckloop Connector. The Comfort Audio long neckloop connector cable requires the neckloop and neckloop adapter piece (sold separately) in order to have the Comfort Duett on a table, such as in meetings where you want to hear what each person says without having to pass around the Duett personal listener. Approximately 28" length. 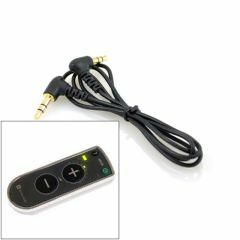 Used for the Comfort Duett model with large volume buttons. Comfort Duett Personal Listener sold separately.